The keys to innovation are tools, processes and people. 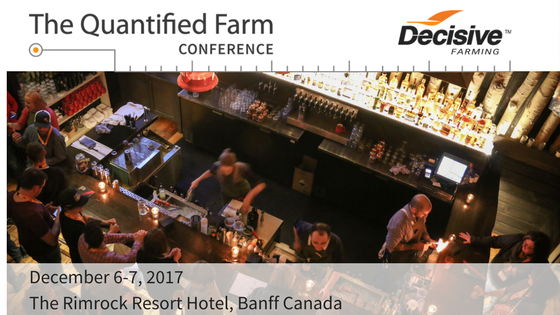 Join Colin Rush from Clean Seed Agricultural Technologies for a Debate on the Future of Technology on the Farm at The Quantified Farm Conference December 6-7 in Banff, Alberta. Find out how Clean Seed has become a precision ag and innovation powerhouse by staying in tune with producer feedback, delivering measurable returns and building an ag tech team you wouldn’t have expected. Tell us about Clean Seed Agricultural Technologies and why you decided to get involved in the Quantified Farm Conference. 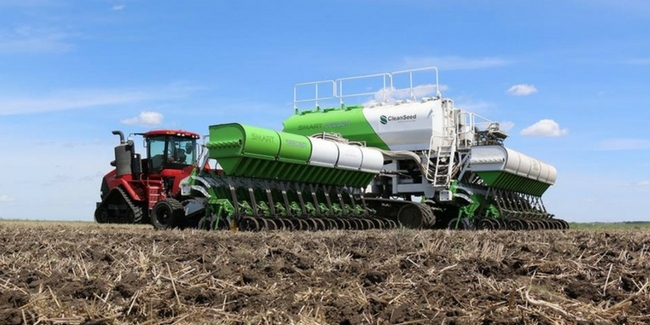 Clean Seed is on the cutting edge of a new precision seeding technology called the CX-6 Smart Seeder that is starting to revolutionize seeding. The CX-6 allows for high definition seeding, row by row, infinitely variable for up to 6 products. 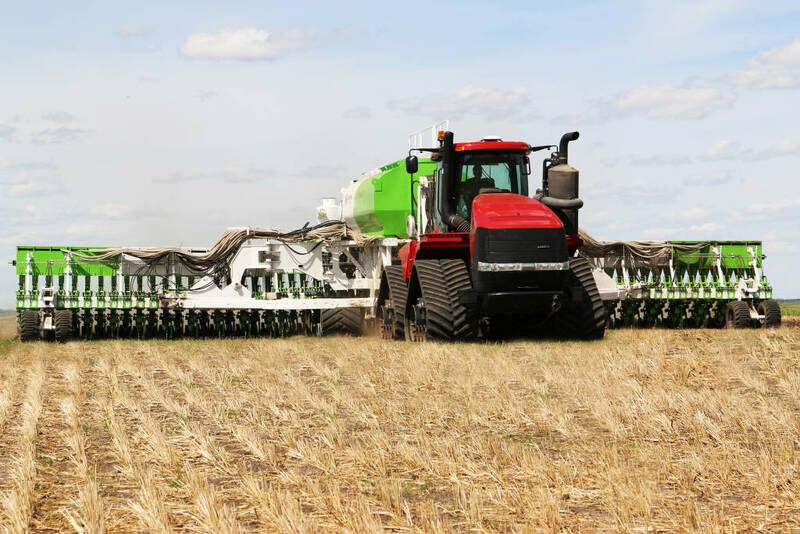 Traditional seeders have a much harder time with other innovations, such as turn compensation, because their metered systems are not set up to adjust from one end of the drill to the other. Because we meter every single opener, we allow for perfectly calibrated rates whether we are turning around an obstacle or going flat. Variable rate seeding has struggled for true adoption in dryland agriculture and we are able to take out the randomness and guesswork out. We allow people to harness power of agronomy because we can be as precise as a prescription. We can be certain as to the exact weight of fertilizer applied, removing the worry that the machine will have random variances due to air distribution. We have had an excellent response from the media and farmers and are packing the truck for some winter wheat seeding here in Alberta as we head into our first sales cycle with our early adopter program. Our partnership with The Quantified Farm Conference is a perfect fit because Decisive Farming plays a huge role in the data management and agronomy side of coaching clients on how to maximize and play a role in precision seeding. 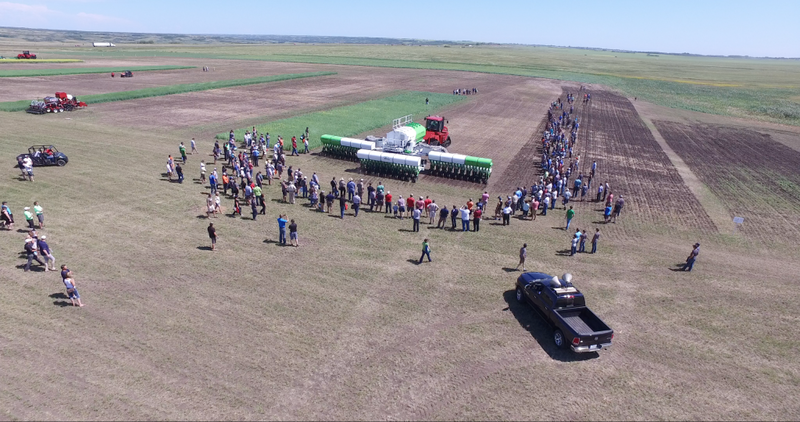 We are growing in the same direction and we are the company providing the machine that can deliver on the promise of precision ag. Precision seeding is a cultural shift in farming, as well as a physical shift, and we are on the leading edge of that from the equipment end. How do you encourage a culture of innovation at Clean Seed? With diverse backgrounds in automotive, electronics and power management, our team show us the definition of out-of-the-box thinking. We have 360 electric motors on the CX-6 that run on less power that what a hair dryer does, which couldn’t have been created with a traditional ag engineering team. This industry can easily get caught in stagnation, but because we have such diverse talent that ranges all industries, the sky’s the limit. At the end of the day we have a business to run and want to make sure that North American farmers, and eventually farmers around the world, are capable of adopting the mantra and approach of precision ag and the innovation it takes to make precision ag a staple. Our conference theme is the Spirit of Farm Innovation. Can you share a story from Clean Seed’s history about being an innovator in agriculture? When we come up with new ideas, sometimes we don’t initially realize they are innovations because they are a product of how our team thinks. For example, traditional calibrations take up to an hour of manual effort and time. Because we have the same motor across the drill, we can do a volumetric calibration for a product in one minute. It wasn’t an aspect we promoted, but it was the piece that people were most impressed by. We have more than enough innovative technology out there – everything from grain handling to plant genetics to equipment, to software and big data. I think we are just hitting our stride in agriculture. If there is any one industry that can use it, I think farmers can use the biggest returns and are looking for every advantage that can earn them an extra dollar per acre. We estimate a $100 per acre incremental return on dry crops when using our technology to the fullest, and that’s a conservative estimate. If you ask any farmer if they would invest a bit more to achieve this return, I don’t think anyone would say no. That’s the curve of adoption. Many innovations involve huge capital spends which means most producers won’t take the leap, but everything changes if you can show the return on investment that those innovations can produce. We are a company of equals and we are very team oriented. Every good idea carries equal weight, whether it came from a producer or engineer. That organizational structure and culture we have built internally is key. Everyone has the mandate to make the company succeed and when you release everyone’s potential it’s amazing how fast you can go. Traditional development of ag equipment can take upwards 5-10 years to bring to market, including refinements on existing products. We have developed a completely new system in 2-3 years and brought it to market with a small team. Our culture of innovation allows us to accomplish tremendous things. We believe it is essential to connect with our producers and take the time to understand their challenges as they evolve. Because we are a young company, we need to be quicker and adept to producing tools before larger, mature companies. We stay on the cutting edge by ensuring the we are validating feedback on the tools we bring to market. The Quantified Farm Conference is an excellent way to network and collect feedback. We take producer feedback seriously and will take everything back to our team to continue to build on our innovations. Hear more from Colin Rush during the Debate on the Future of Technology on the Farm at The Quantified Farm Conference Dec 6-7 in Banff. Early bird tickets are available for Decisive Farming customers until Friday, September 29. Limited industry and grower tickets are also available.